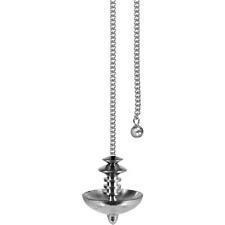 Mer-Isis Silver Metal Battery Pendulum! 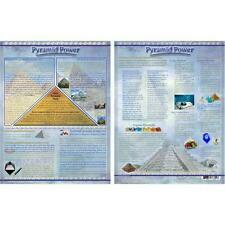 Pyramid Power Informational Laminated Chart! Egyptian Athame Ceremonial Dagger with Silver Handle! Hidden Chamber Brass Egyptian Pendulum! One 8-Stick Box Hem Egyptian Jasmine Incense Sticks! One 8-Stick Box Hem Egyptian Musk Incense! Eye of Horus 7.5" x 14" Cast Iron Wind Chime! Horus (Egyptian) Parchment Page for Book of Shadows, Altar! 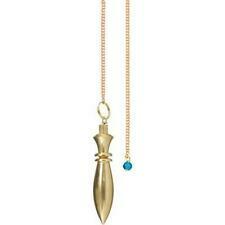 2" Egyptian Copper Battery Pendulum! Eye of Horus, Egyptian Eye Wind Chime! Midnight Sky Owl 4" Art Glass Pyramid! Goddess Isis Oracle Cards Pocket Edition! Lapis with Copper Spiral and Pyramid Grid Orgonite Pyramid! 7 Chakra with Copper Swirl Orgone 4' Pyramid! 44"x88" Tie-Dyed Pentacles Curtain in 100% Cotton! Hem NILE LOTUS Hex Pack Incense Sticks! One 20-Stick Box of Hem Egyptian Jasmine Incense Sticks!